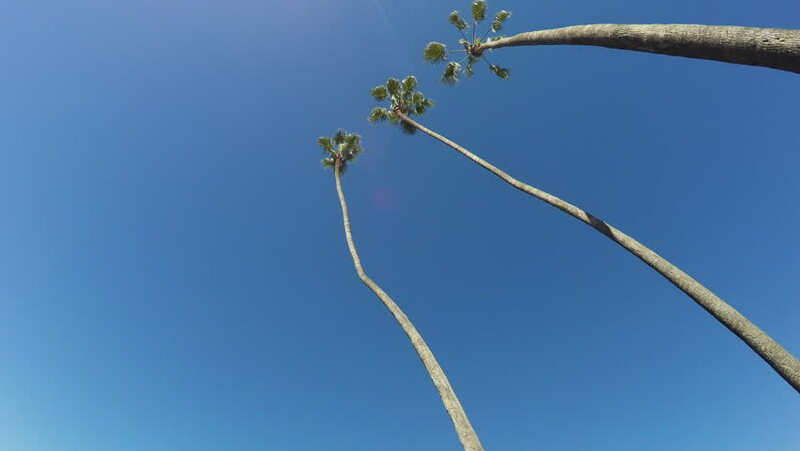 PASADENA, CA/USA: February 21, 2016- An extreme low angle pan shot captures the long thin trunks of palm trees. Palm leaves blow gently in the wind against a blue sky. 4k00:10Linden tree branch with young leaves and buds in spring season on blue sky background. Static shot. 4K UHD video clip.